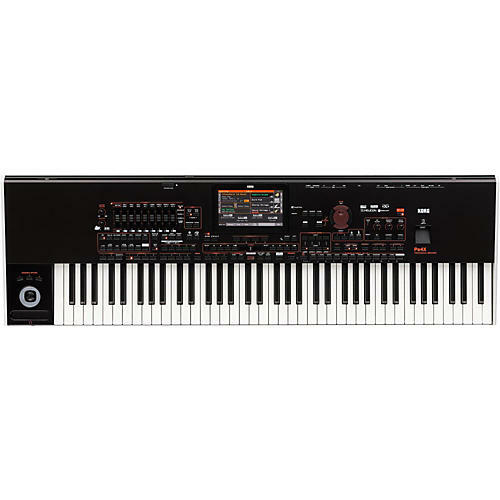 Korg' Professional Arrangers are among some of the most popular keyboards available, and now the Korg Pa4X continues on the series with improved sound quality and expressiveness, more extensive arranger functionality, and an upgraded interface including a larger color touch screen for fast access in any live situation. The Pa4x is loaded with high-capcity PCM sounds, that' ten times the amount found in the Pa3X, including a stereo grand piano with full-key sampling plus string and damper resonance akin to the Kronos2. There' also a 7 TFT color display, almost 1.5 bigger than the Pa3X, with improved sensitivity and tilt ability.